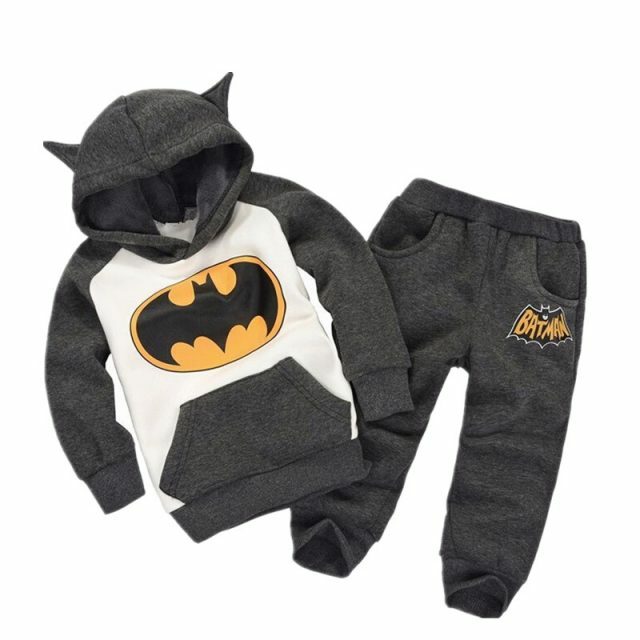 Cute Batman tracksuit for kids. Available in black, blue, red and pink variants. 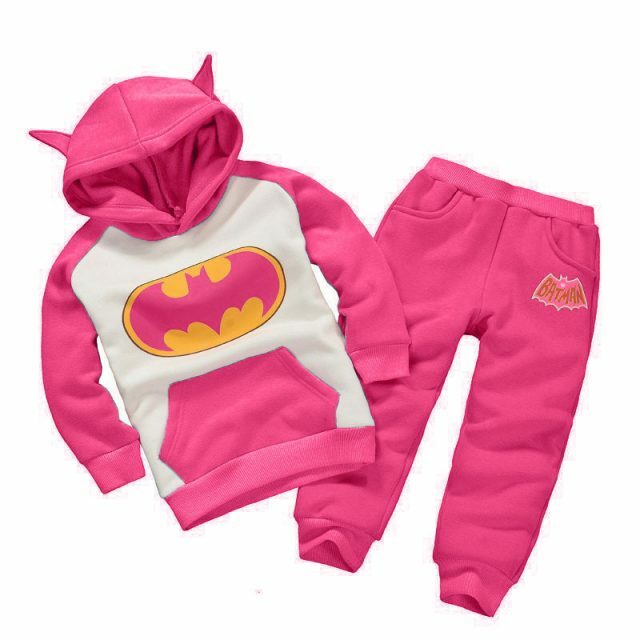 Hoodies have pointy ears and spacious pocket in the front. Perfect for a theme party or just casual home wearing. my relatives are so satisfied with ! This is the most spectacular thing ever! I would recommend this acquisition. It was sent out so fast, the expected delivery was something about later and it came faster than in nine days after making the payment! Very contented with the bargain and with the customer service. And this deal, outran our expectations for theprice. I received this 5 weeks ago and at first I liked it, but after several days for the money spent. For the price I paid for this I can declare the same quality I can purchase in any store nearby. This is absurd. Just not what I visualized it would be and very cheaply made compared to similar goods. Not that the quality is so inacceptable, but the product is not worth itsworth. Thank you seller. Suit very ponravilsya. looks great tepid, quality liked. took a gray, size 6 the growth of 110 cm and the age of 3,5g sat very well. delivery fast. Small size ordered the 4 is the 2 here but the material is very warm is very thick, type flanelada inside. excellent! Cool suit, came for 2 weeks thank you seller! very satisfied child delighted 2.7 ordered 5, there is a small zapasik, I think in the spring of diarrhea, tёplenky, sewn carefully.